Ownership / Access: Accesible Open Space. Notes: Corbridge Vicar's Pele is a pele tower in the village of Corbridge, Northumberland, England. 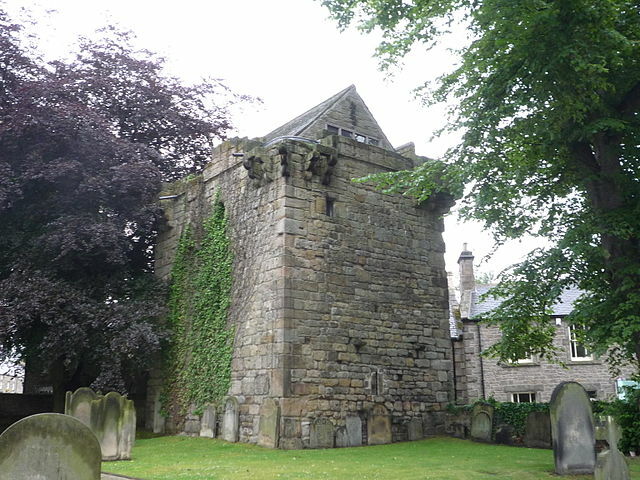 It was a three storey pele tower, with one room to each storey, built in the churchyard in 1318, and used as the vicarage for the adjacent church. It is built largely from sandstone taken from the Roman fortress at Coria nearby. It was in use as a vicarage until the early 17th century. The original interior has been gutted.